It’s surprising what a difference new bedding can make to a room. In face, it can make or break the room. So take your wife’s advice, make the bed, and make it even better with the bedding from the Linen Shoppé at Furniture Row. With styles, quality and design, we’ll help make your bed into something very special. 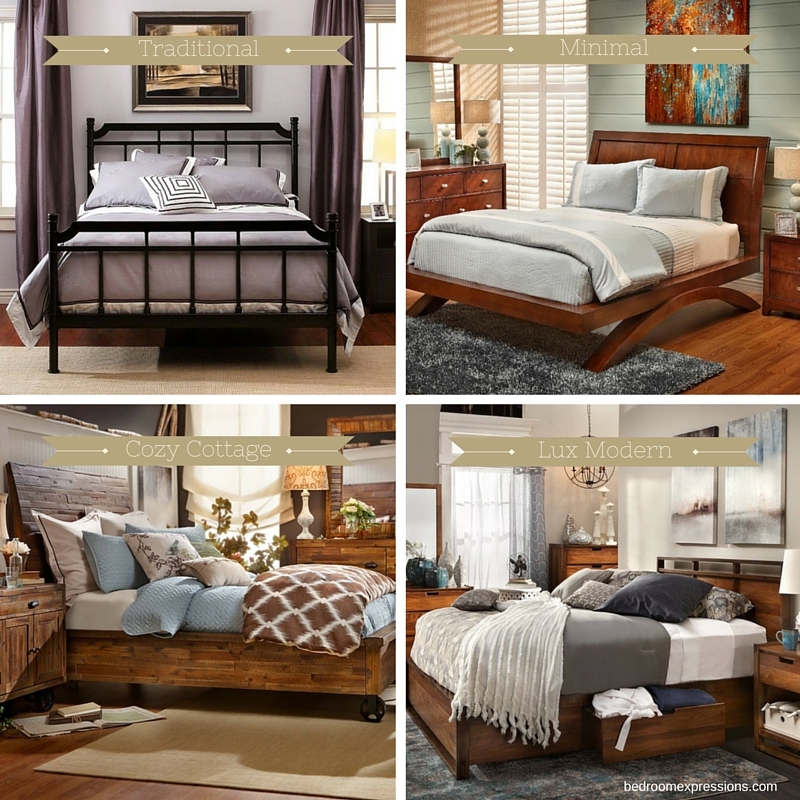 Traditional Bed: The Bryant Park Bed embraces classic cast iron durability with modern lines. Make the bed traditional with a sleek comforter from the Linen Shoppé. Decorate with 4 pillows, and 1 accent pillow. Minimal Bed: The Grant Park is a modern solid wood bed frame. Keep the modern minimal feel alive with a two toned thin comforter from the Linen Shoppé at Furniture Row. 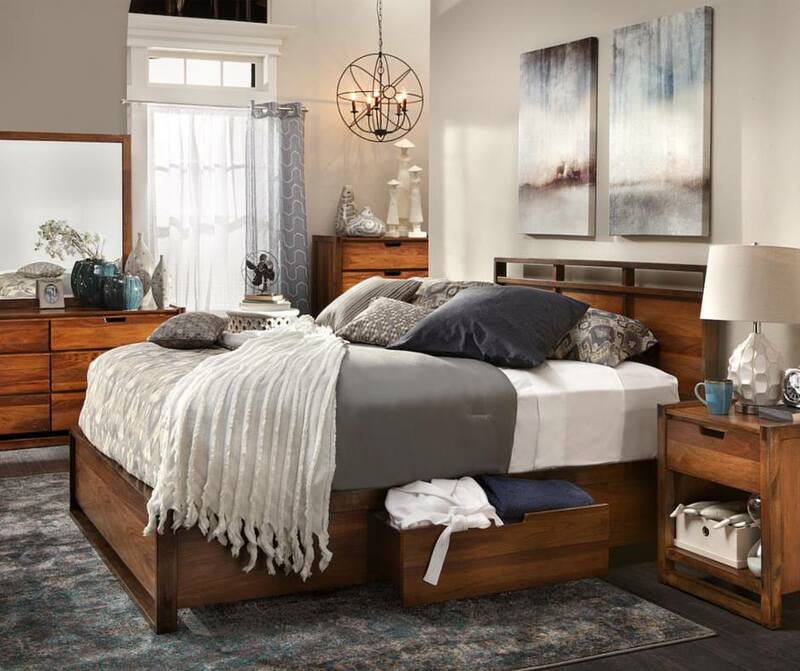 Cozy Cottage: The River Ridge bed from Bedroom Expressions embraces cottage chic style with it’s rustic wood durability. Dress is up in a quilt/comforter combo and add lots of pillows for a truly cozy feel. Lux Modern: The Urban Pacific storage bed can be layered with smooth linens for a luxurious and comfortable feel. Add throws and a variety of pillows for contrast and texture.